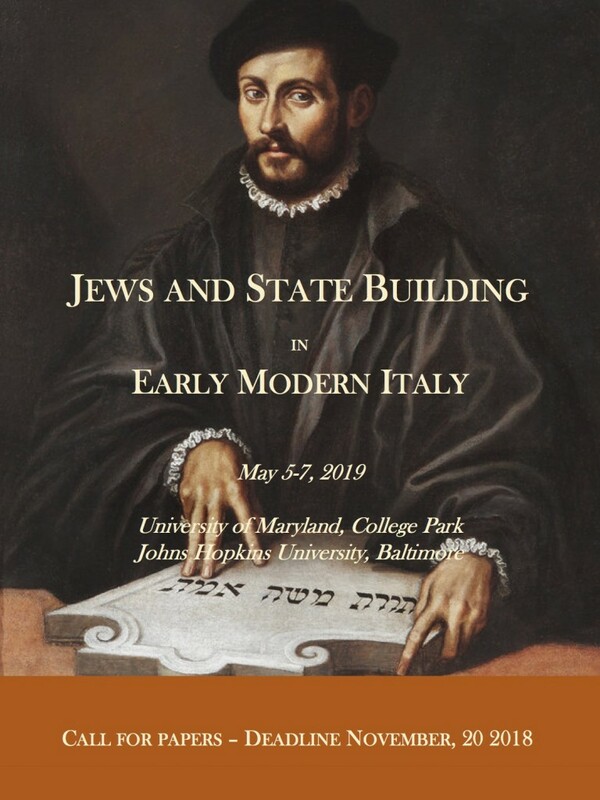 We call on interested scholars to submit proposals for discussion of the place available to, and occupied by, Jews in the early modern Italian state. We expect to have sessions dealing with the administrative and judicial treatment of Jews by the state, the political autonomy and organization of Jews within the state, and the relation between local Jewish and state identities. We hope to have a session that explores the interactions of Inquisitional and state organizations in issuing and enforcing directives of social discipline. We invite also scholars who can offer comparative treatments of the legal and group identities of other religious and ethnic minorities (Protestants, Greeks, Turks, Armenians, etc.) in Italy. We welcome proposals that will open up the specifics of the Jewish case to comparison with broader intellectual and judicial patterns of state practice and political thought. And finally, we invite proposals that explore the broader demographic, economic, and social developments in Italy as these affected policy towards Jews and other urban minorities. This conference is intended as the second meeting of a research project on Jews in Italy during the long Renaissance. The project is sponsored by the University of Maryland in College Park, Johns Hopkins University in Baltimore, BarIlan University in Ramat Gan, the Italian Research Program of National Interest-PRIN 2015 The Long History of Anti-Semitism (University of Milan ‘La Statale’, University of Pisa, University of Genova, Sapienza University of Rome), and the International Research Group in Early Modern Religious Dissents & Radicalism EMoDiR.